How Do You Find a Writing Community? When I left Essoyes, France last October, the last instruction given to me by the teacher – Janet Hulstrand – was to find a community of writers to surround myself with. I’m sure she was concerned that I would lack support if I didn’t connect with a few like-minded people. The first thing I found was an umbilical cord through the internet. Facebook, wordpress, twitter – all have proven to be threads that its members weave together in whatever fashion suits their hash tags and topics of interest. And with e-mail, I have remained in touch with the bright and courageous women I met in France. The internet has also been good to me in terms of publishing. One short story, travel article, and an honorable mention in a contest – as well as starting my own blog – were all published through the information garnered on the web. A good friend sent me some information on writers’ appearances at a college about fifty miles away and I was fortunate enough to meet them and discuss the future of publishing in America. As each connection brought with it similar advice, I searched for writer’s events in my state. After all, North Carolina – being southern, coastal, mountainous, and rich with history and roots from Native Americans to fully modern nationally recognized cities – has produced many acclaimed writers. 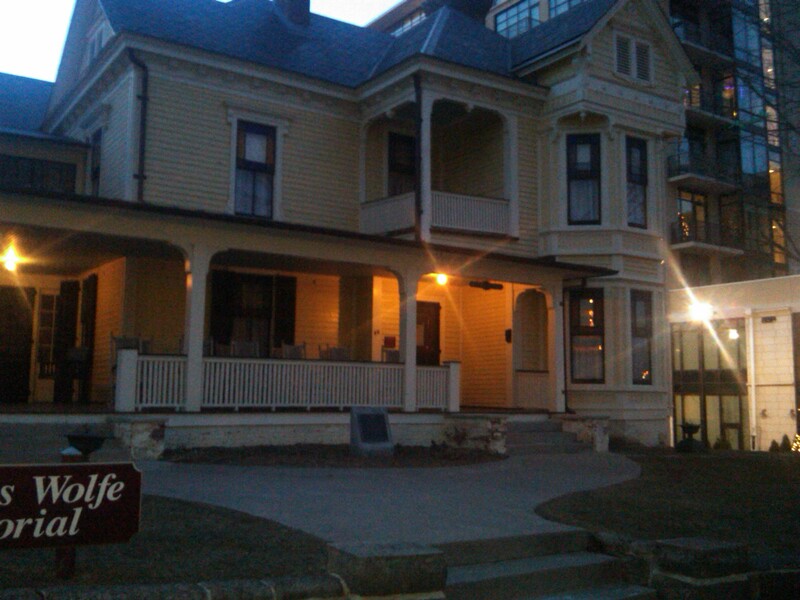 In Asheville alone, Thomas Wolfe posthumously enjoys his own museum in the house he lived in. And who could forget F. Scott Fitzgerald, whose impression of the area, especially The Biltmore House, found itself in his masterpiece – The Great Gatsby. It only seems natural that I should find myself headed there for the next leg of my journey. The Wild Rose Press is hosting a retreat for writers tonight through Sunday. Writers, agents, editors and publishers will be gathering there for an in-depth writing immersion. This year I am fortunate enough to be among them. And Saturday we will be touring The Biltmore Estate. Having been there before as a tourist – admiring the spring flowers or Christmas decor – may be vastly different from seeing it through the eyes of writers. Ideas about the original time period, or the roaring twenties, or today’s modern facility with winery and spa, may only touch the surface. I’ve always wondered about the servants and their lives, and there must be at least one ghost gliding around the premises. But most of all, I’m anxious to meet others who share the writing gene. There may not have been a writing community surrounding me when I started this journey, but I am building it one event at a time. And you can too!